iPhone Won’t Unlock Even with Correct Passcode? Fix It Now! Best iPhone Unlock Client You Should Never Miss! Any iPhone owner uses passcode to keep their confidential information safe or to protect their vital data from getting into the wrong hands. Sometimes you may find that your iPhone won’t unlock even with the correct passcode. This could be caused by an iOS software glitch or a new iOS upgrade etc. This is becoming a problem to iOS device users which has made Apple come up with different ways of rectifying this problem. In this article we focus on some of these methods that will make it easier for you to quickly fix this issue. 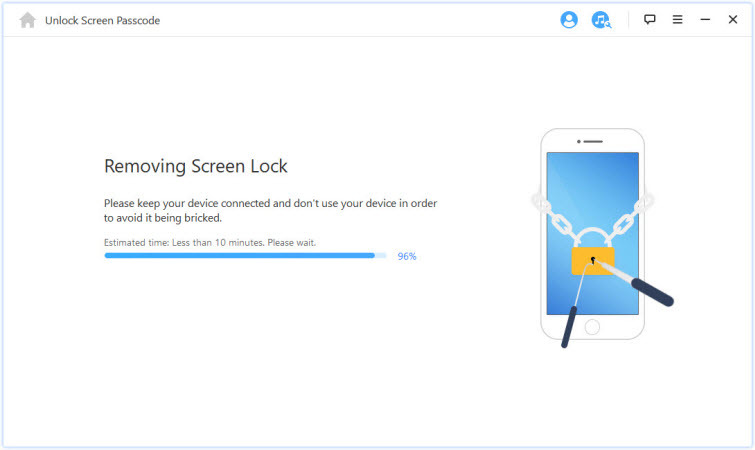 iMyFone LockWiper is a software that is special designed to unlock your iOS device’s screen lock in a matter of minutes. 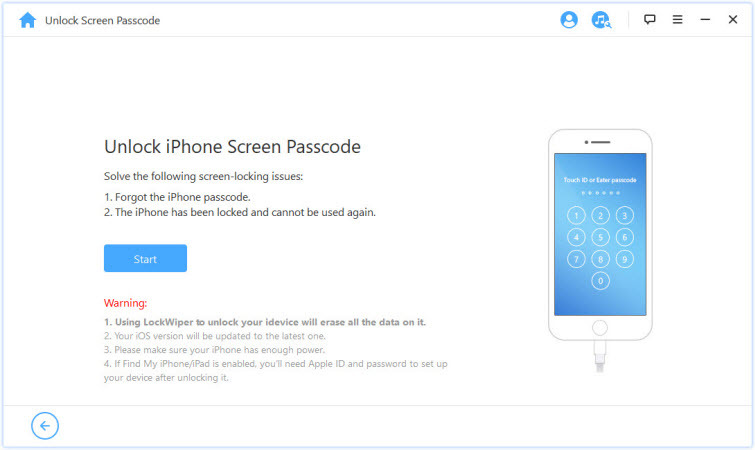 If you cannot unlock your iPhone with the correct passcode, it's a wise choice to use LockWiper to unlock your iPhone. Unlock 4/6 digit passcode, Touch ID and Face ID. Easily access your locked, broken or disabled iPhone. Bypass screen lock from iDevice without password, only in a few clicks. Remove iPhone Apple ID without knowing the password. Works well with all iOS versions and devices, iPhone XS/XR and iOS 12. 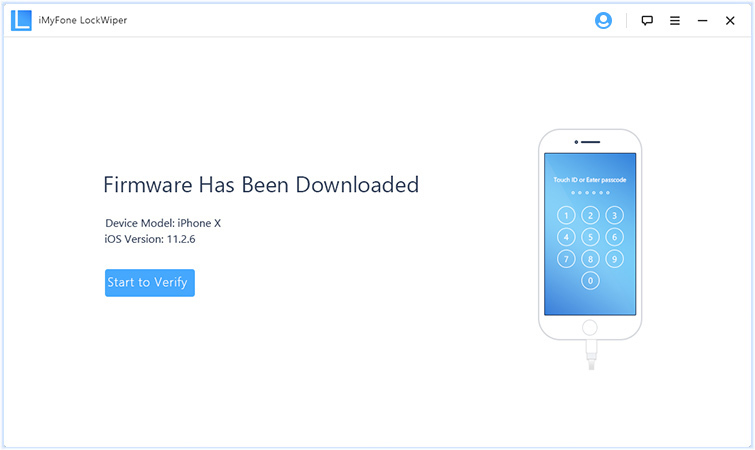 Before you use this tool to unlock your iPhone you need to know that all your iPhone data will be erased once the password is removed and you will get the latest updated iOS version. Step 1: Launch LockWiper, click Start to begin the process and connect your device to your computer. If device isn’t recognized check the USB connection, re-plug the retry. It still not recognized open iTunes and check from there. Step 2: Choose your device model at the top of the bar then follow onscreen instructions to put device on DFU mode. 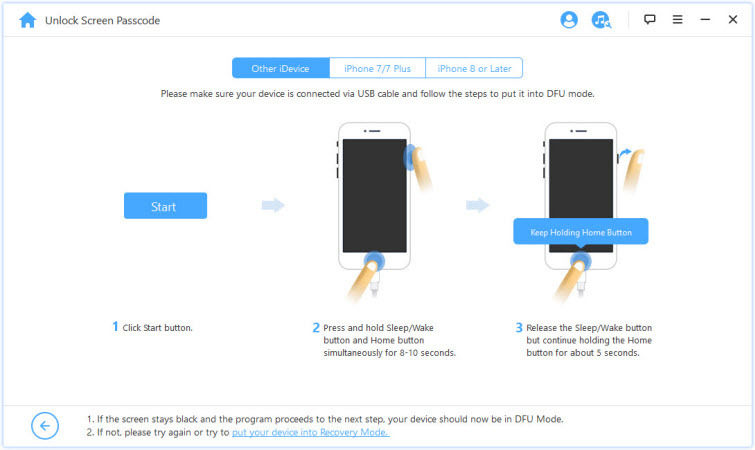 If it cannot enter DFU mode click on Recovery mode, choose your device and follow the onscreen instructions. 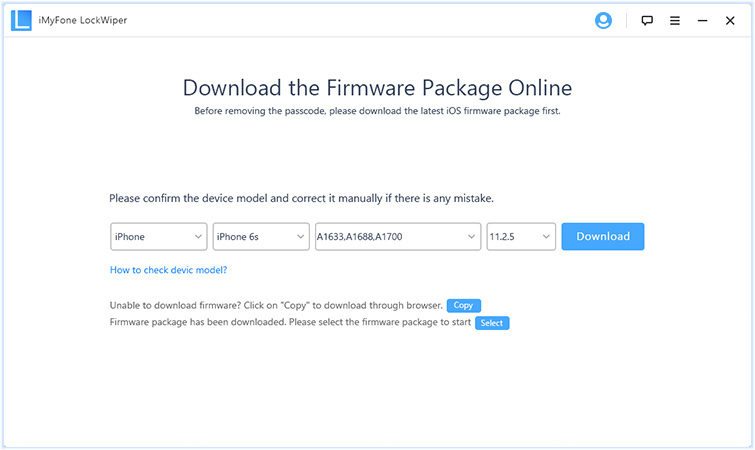 Step 3: Before downloading the firmware check your device model is auto-detected or correct it manually then click Download or copy manually from browser. Click Start to verify once downloaded. 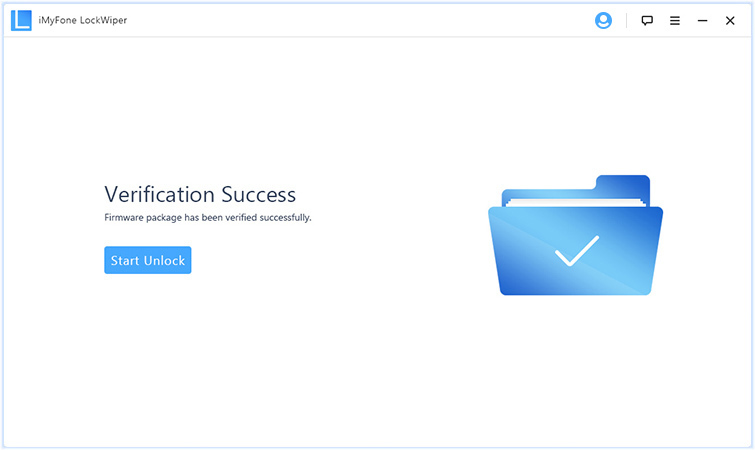 Step 4: Click Start unlock to start the unlock process. Enter 000000 to confirm you want to unlock then click Unlock. Wait a few minutes for the process to be completed. 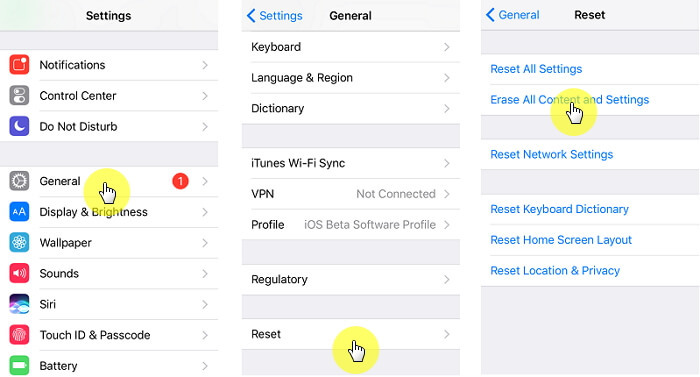 There are many reasons why you would want to factory reset your iPhone. This may range from upgrading your device to the latest iOS version, erasing personal information if you are selling the phone, unreliable iPhone, reclaiming storage space or your iPhone won’t unlock. If you don't want to lose any data you need to sync or have a backup in iTunes or iCloud. Step 1: Go to your iPhone Settings. Step 2: Select the General tab. Step 3: Scroll down to the Reset button. Click Erase all content and settings. You will be asked if you ‘Are sure and want to continue’ click Erase iPhone to continue. 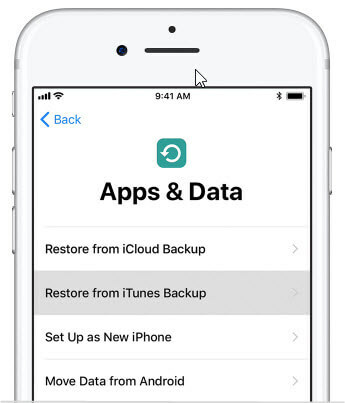 Step 4: You can now setup your iPhone settings and restore your backup. Step 1: Connect your iPhone to your synced computer. Go to iTunes. If asked for a passcode use another synced computer or use the recovery mode. Step 2: Wait a few minutes as iTunes syncs with your device and creates a backup. Step 3: Once your device has been synced and backed up, click on Restore (your device). 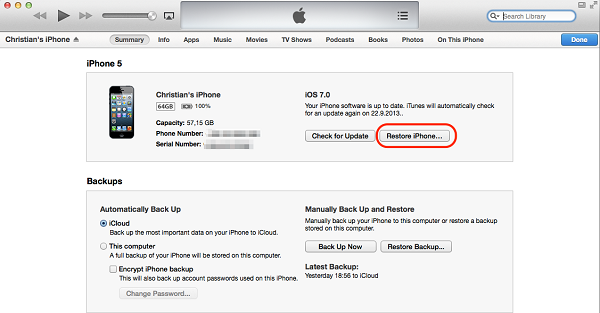 Step 4: On the Set up screen when restoring your iPhone, click Restore from iTunes backup. Step 5: Select your device in iTunes and select the most relevant backup according to the date and size.